There's a lot of hype surrounding the new Hyundai Santro, and it's understandable. India's first taste of the Santro 20 years back was enough to cement the name (and the Hyundai badge) in the minds of the Indian car buyer. And now Hyundai has revived the name tag for its latest offering to the first time buyer. With prices starting at Rs 3.89 lakh, the Santro is placed between the Eon (Rs 3.34 lakh onwards) and the Grand i10 (Rs 4.91 lakh onwards, all prices ex-showroom). 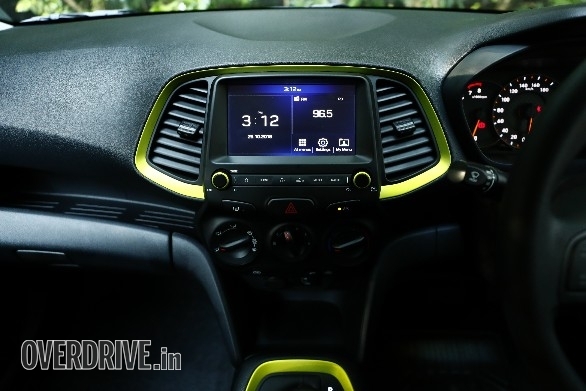 We've had the chance to drive the new Santro a few times already, the first time being a brief drive at a test track, while our first drive review has our experiences with the car in full. 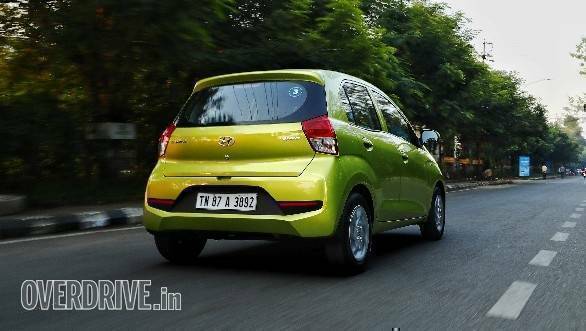 This is a quick tally of what we liked about the new Santro, and what we didn't like quite as much. airier. For a car with a smaller footprint, that's a big achievement. On offer, is a 7-inch touchscreen infotainment with smartphone integration, reverse parking camera and sensors, as well as AC vents for the rear bench. Enough said. The rear AC vents are available from the second variant onwards, while the excellent infotainment is standard from the fourth variant in the line-up. 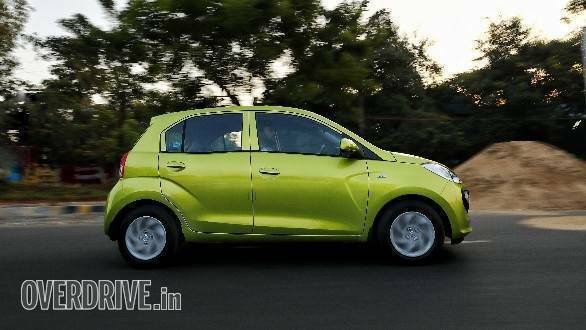 The new Santro employs a double wishbone setup at the front, with a torsion beam keeping things tidy at the rear. We would say more than half the chassis is high strength steel, but we have the figures  63 per cent. This means it has good structural rigidity, and the resultant ride quality is very well judged over the worst that Bhubaneswar could send our way. It certainly rides better than anything else in the segment. The five speed gearbox is all-new and developed in-house specifically for this powerplant. It differs from most AMT gearboxes (with the exception of the Renault/Nissan units) that we've seen so far, in that it uses electronics instead of hydraulics to both, shift gears and engage/disengage the clutch. As a result, its shifts are well calibrated and very smooth. So smooth, that it's possible to forget it's an AMT. There's no head nod on upshift, and doesn't require you to lift off the throttle to get the best out of it. 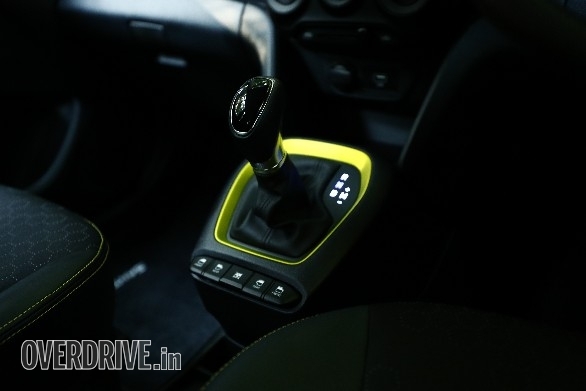 It will also shift down quite intuitively, dropping three gears at a time to give you the go you need. The gear indicator is backlit as well, clearly showing you which mode you are in, in case you're forgetful like that! This is a tough one  the new Santro follows in the original's footsteps in producing a really diverse set of opinions on its looks. Some like the simple rear that flares out to the bottom, some don't. Some like the smiley grille, most don't. However, the kink in the window line that sees it drop instead of rise is genius and really sets the Santro apart (also makes the rear bench feel more spacious). Personally, I think the styling is a bold step and gives it instant character. 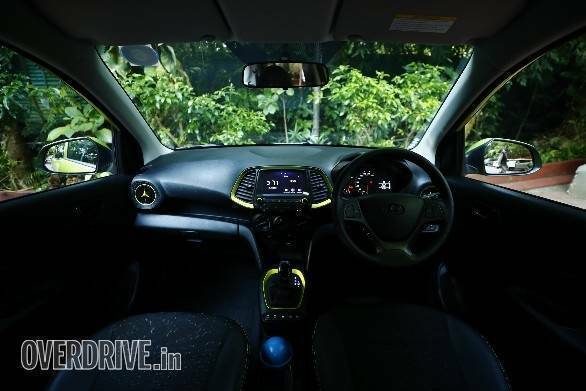 The light steering that makes the Santro a supremely easy car to pilot in the city, makes it a little nervous at highway speeds, particularly over 110-120kmph. It requires a firm hand, or two preferably, on the controls since the steering doesn't offer too much in the way of feedback to let you know when the front wheels feel like wandering away from the chosen line. It's not a deal-breaker but something to keep in mind if your usage will include large amounts of highway use. 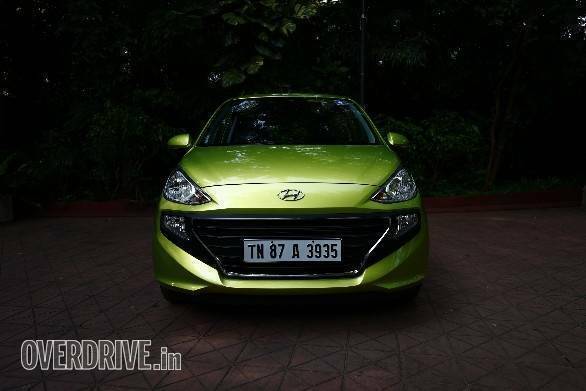 We recognise the budget segment that the Hyundai Santro plays to, but two airbags really should have been standard on the car, at least from the second variant onwards like on some of the competition. 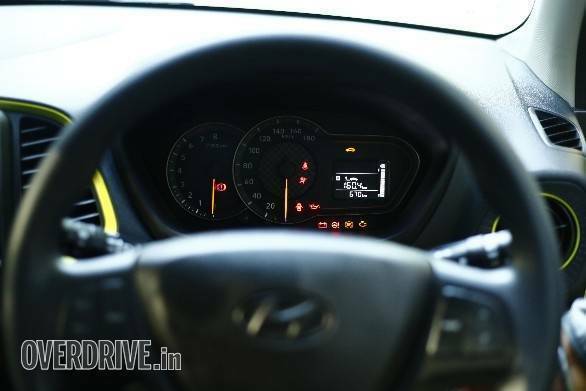 Instead, only top of the line Asta variants get the driver+passenger airbag fitted. And more unfortunate is that the AMT variant isn't available in the range-topping trim. So, if you want the convenience of the excellent AMT and the peace of mind of dual airbags, you're out of luck for now.